Aleksander Ceferin sole candidate for UEFA Presidency! Home / International Football / Europe / Aleksander Ceferin sole candidate for UEFA Presidency! 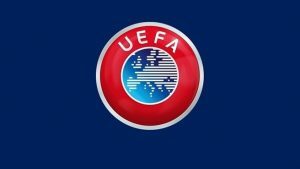 UEFA will submit the completed eligibility questionnaires for all candidates to FIFA in order for the FIFA Review Committee to carry out the relevant eligibility checks. Finally, the deadline for the submission of candidatures for seats on the UEFA Executive Committee (eight members to be elected for four-year terms at February’s UEFA Congress in Rome) is Friday December 7, 2018. Previous VIDEO – Jamshedpur FC: Goalkeeper Subrata Pal answers fan questions! Next XtraTime VIDEO: Could Mohun Bagan & Sanjiv Goenka work together?